This is a sampling of some of the specialized engineering projects that have been completed in recent years by IVCC Engineering in Pakistan. IVCC has taken a leading position amongst Pakistani engineering companies when it comes to providing specialized engineering solutions and geotechnical expertise particularly with regard to engagement in CPEC related projects. Peshawar – Karachi Motorway (PKM) Sukkur – Multan (Section 4 of Bridge) (2018) Piling Work IVCC installed 461 Piles of 1,200mm diameter with maximum depth of 50 meter. Total drilling footage for this project was 15,008 meters. 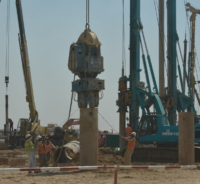 7 Pile Load Tests upto maximum 700 Tons each and 171 PIT Tests were carried out. 1100-1400 MW RLNG Combined Cycle Power Plant Jhang, Punjab – (2018) IVCC executed Geotechnical works for a combined cycle power plant being set up at Jhang by the Government of Punjab. Test Piles and Pile Load Tests were conducted for design purposes. 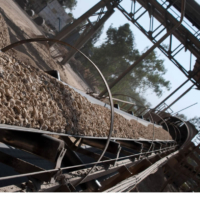 Cherat Cement Company Ltd – Nowshera, Khyber Pakhtunkhwa – Pakistan (2018) IVCC constructed a total number of 388 piles and conducted 6 load tests for Cherat Cement in Phase 3 extension of their cement plant. Diameter of piles was 1 – 1.2 meters with a depth of 20-28 meters.